Our Automobile Auction will take place on Saturday, October 11, 2014 at our headquarters in Lancaster County, PA. Our proximity to Carlisle, Hershey, Philadelphia, New York, Baltimore, and Washington D.C. makes this auction easily accessible to all enthusiasts. Private appointments are available upon request. Public preview begins on Thursday, October 9th. Please contact Brenda Fodor at 877-968-8880 or brenda.fodor@morphyauctions.com to schedule your preview. This auction welcomes all motor vehicles of interest to today’s collectors, whether they’re luxury cars of the Art Deco era, trendy muscle cars of the 1960s or classic motorcycles. These sales will follow the Morphy Auctions guideline of offering “fresh to the market” items. For more information, or to discuss consigning a vehicle, please contact: Dan Morphy: dan.morphy@morphyauctions.com or call 717-335-4569. Below are just a few of the cars coming up for auction in October. 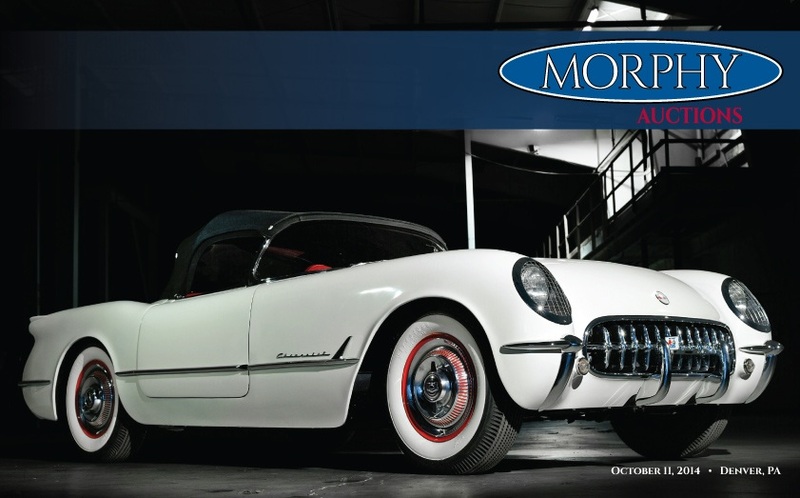 To view a complete listing of the cars in the auction www.MorphyAutoAuctions.com.